Rajasthan was home to an urban civilization that arose around 4500 years ago. It has been revealed from some recent excavations of the remains of the Indus Valley Civilization, that the town penetrated deep into the heart of the desert. Eventually, various civilizations began to form in different parts of the world, which gave rise to a sophisticated network of trade across different continents. This was the time period when a trade route was established, linking Europe to Asia. The caravans traveling through this route attracted supporting commercial services that led to the transformation of sarais of the desert into settlements. These settlements were intruded by the invaders and then eventually the settlers who took up the responsibility of providing protection to these caravans, in return for which they imposed taxes on the goods that were being carried through their territories. Then came the mighty Rajputs, who had once held most of the Hindustan (India) under them. Rajasthan was majorly a Hindu state and was divided into seven broad areas namely: Mewar of Udaipur, Marwar of Jodhpur, Bikaner & Kishangarh, Kota & Bundi, Amber or Jaipur, Jaisalmer and the Thar Desert (now in Pakistan). Later, a Mughal ruler, Mahmud Ghori defeated the legendary king Prithviraj Chauhan of Ajmer. After this defeat, most of the Rajput princes thought it’d be beneficial for them to make peace with the Mughal Emperors, while few of them were extremely patriotic and therefore, refused to accept the suzerainty of the Mughals. 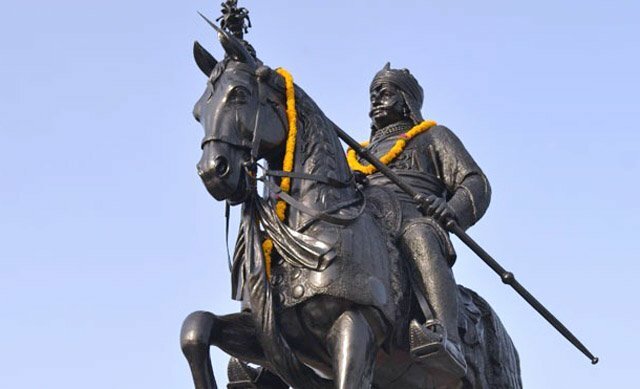 The brave Maharana Partap Singh of Chittaur (Mewar) was a part of the latter and kept fighting the powerful Mughal Emperor Akbar until his last breath. Rajasthan takes pride in its vivid history which is as rich in tales of valour and chivalry as it is in folklore. The people here are highly religious and are known to have built royal palaces, handsome mansions along with splendid temples, elaborate wells and memorials to their dead. It is said that while the victories at the Rajput kingdoms were greatly celebrated, their defeats were catastrophic. If all the warriors ended up being killed in the battlefield, thereby losing the war; their women would indulge in the practice of ‘Jauhar’- a voluntary acceptance of death by jumping in a ritual fire-pit. With the defeat of Rajputs, Mughals took over the state and eventually lost it to Britishers, who came to terms with each Rajput ruler. When India received its independence in the year 1947, Rajasthan came into existence by combining 22 princely states along with the integration of the former state of Ajmer.